This week I have a gift for the audience in that I will be walking you through the process to create a "Money Map" for your business. This strategy will boost your bottom line profit when executed on a regular basis. Join us today and I'll give you all the tools and instruction on how to create your own "Money Map" for your Practice. This is your last chance to register for our webinar on Tuesday morning. See Below for details. Many practitioners seem to "Wing" a lot of things, do things randomly, live week to week and not plan for the medium to long term. On Dec 20th, I'm going to hold a free webinar on "How To Make 2012 Your Best Year Ever" where you will learn how to go from Chaos to control, from Struggling to stay on top of things and out of balance to completely balanced and feeling really happy with life and from feeling really frustrated and dissatisfied, working on low value 'stuff' to feeling really motivated, relaxed and working only on high value activities. 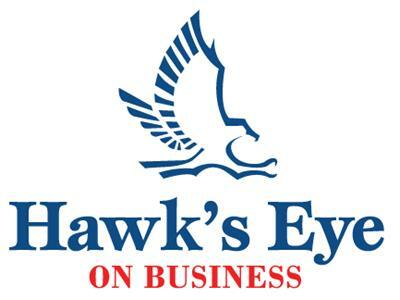 There are only 20 seats left for this webinar so don't wait, go to: http://HawksEyeOnBusiness.com/2012-Best-Year and book your seat today. How to make sure your motivation holds for the entire year and not just until Feburary. The number 1 way to finally get leverage in your business.